Gene McNeely started flying airshows in 1986 and has been a stalwart presence on the AeroShell aerobatic team, flying a Wasp-powered North American T-6. He can only guess at his total flying time behind the engine: “I would say 15,000 hours…probably more than that.” He does remember exactly how he got there, though. “I got out of the Navy and…started cropdusting, and the first engine I sat behind was the [Pratt &Whitney] R-985, which we’d adapted to the Stearman,” he recalls. By Mark Kolanowski of NYCAviation. The evening before media day at the Rhode Island Airshow was progressing like any other: Dinner was being cooked, camera batteries were charging, lenses were out awaiting cleaning and a blower was at the ready to clear pesky dust spots off sensors in anticipation for the photo opportunities in the morning. An unexpected phone call greatly raised the anticipation level for the show, as the public affairs representative for the Geico Skytypers asked if I would be interested in joining the team for a media/photo flight the following morning. An unexpected cancellation meant that the opportunity of a lifetime had just came up with my name on it, and provided I could watch a safety video that evening and promise to not wear high heels or flip flops, I’d be taking to the skies the following morning in a historic warbird. GEICO Skytypers Airshow makes first appearance at popular World War II event. The Mid-Atlantic Air Museum is pleased to announce that the GEICO Skytypers Airshow Team — a six-ship aerobatic team flying the North American SNJ-2 — will perform at the Museums 27th Annual World War II Weekend set for June 2-3-4, 2017. The GEICO Skytypers Airshow Team will perform an 18-minute low-level flying demonstration each day of the show. “This is an exciting first for World War II Weekend“, said Museum President Russ Strine, “as this is our first ever six-ship formation team”. 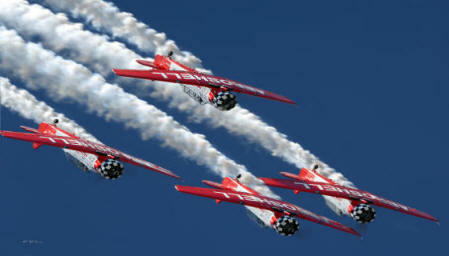 The GEICO Skytypers Airshow Team will also “skytype” around the local area all three days of the event. The North American SNJ-2 is a single-engine advanced trainer aircraft. Powered by a 550hp Pratt & Whitney R-1340-56 engine, the Depression-era SNJ-2 was designed to United States Navy specifications. The Mid-Atlantic Air Museum is located at the Reading Regional Airport in Reading, Pennsylvania. For more information about this year’s event, visit the MAAM WWII Weekend. This year since we sponsored the KidVenture pavilion, we were considered KidVenture Volunteers. It was quite a different experience from being just an exhibitor as we have been in years past. We really felt like we were more a part of the show. AirVenture is run by over 4,000 volunteers, working many hours to ready the grounds for this annual event. All of the EAA staff were so kind and hard working from the ground up including bus drivers to gatekeepers, and all the way up to the business development office and executive directors. Returning to the skies, proudly-sponsored by Covington Aircraft, AeroShell Aerobatics will dazzle spectators at the EAA AirVenture Oshkosh 2015! In recent years, many have voiced concerns over the safety of air shows, but the talented pilots of AeroShell Aerobatics are putting many of these fears to rest. With nearly 100,000 combined hours of flight time and extensive backgrounds in aviation, the six-member team of AeroShell Aerobatics promises an amazing show this year. Covington Aircraft Presents the “Children’s Aviation Art Contest” & Sponsors KidVenture just in time for Oshkosh 2015! Covington Aircraft is pleased to sponsor KidVenture at EAA AirVenture Oshkosh 2015 and the “Children’s Aviation Art Contest!” Entries for this year’s contest will be accepted from July 1 through August 14, 2015. All entrants must create an aviation-themed drawing on a standard 8.5” by 11” sheet of blank paper. 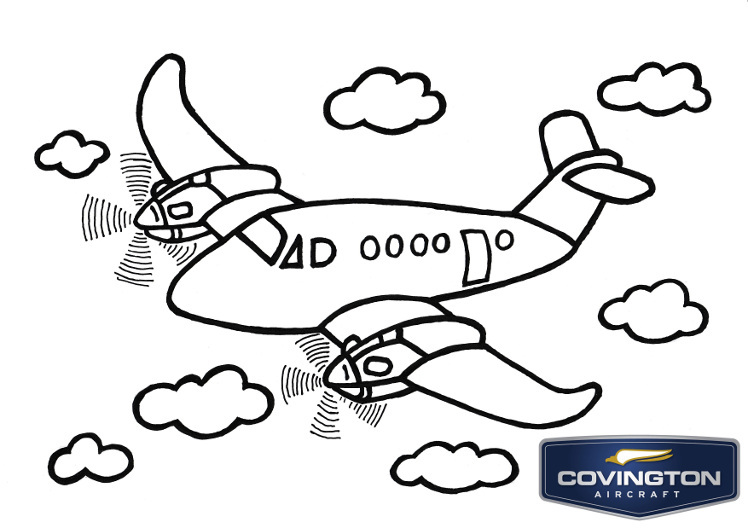 All children must be 12-years-old, or younger; however, children under 5-years-old may print out and color the Covington King Air Coloring Page. The yearly Oshkosh Air Show is the highlight of the summer for any serious aircraft enthusiast. The week-long show held in Wisconsin has a long history of showcasing home built as well as certified aircraft. Whether you fly into Oshkosh as part of the show or you are simply a visitor, the show is something you will never forget. This year commemorates 100 years of airmail service. The airshow schedule for the AirVenture Oshkosh event is like a carnival, a major sporting event and a camping trip all rolled into one and 2011 marks the 59th occurrence of this event that has grown to attract the attention of major airplane manufacturers and military air services alike. One of the highlights of this year’s show will be the arrival of the massive Boeing 787, which will be open for public tours for the first time. The 2011 AirVenture will begin on Saturday, July 23 at 8:30 a.m.
AirVenture will cover two weekends and the week in between, with the last scheduled event taking place at 1:45 – 2:15 p.m. CDT on Sunday, July 31. During this week, there will always be something to see and do, whether it will be the Bonanzas to Oshkosh on Saturday, July 23 starting at 1:00 p.m. (the 21st annual arrival of 100 or so Bonanzas, flying in formation), or the Gary Sinise and Lt. Dan Band, whose repertoire includes everything from Bruce Springsteen to Linkin Park, Aretha Franklin and Jimi Hendrix on Friday, July 29 starting at 7:00 p.m. There’s always something to see and do at this premier event! Go for a ride in the world’s largest airship. The world’s largest flying airship will be offering 45 minute tours of the site of AirVenture, taking off and landing at Pioneer Airport. The Zepplin NT Farmers Airship is 246 feet in length, which is 15 feet longer than a Boeing 747 and 50 feet longer than any blimp currently in operation. With room to carry 12 passengers, the Farmers Airship is capable of a speed of 77 miles per hour with a 500 mile range. Other options that will get you airborne are to book a ride on a Ford Tri-motor, a beautifully restored B-17G or a Bell 47 Helicopter (like the ones seen on the television show M*A*S*H*). Starting on Monday, July 25, there will be an airshow daily at 3:30 p.m. through Saturday, July 30. Anyone who has ever been to AirVenture can tell you that the airshows at this event are not like anywhere else; the aviation experts know that they are performing in front of many fellow aviators and will go that extra little bit in order to shine for an appreciative crowd! There will be many types and kinds of planes flying in these shows, including many former combat designs. While some acts will participate in all airshows, their routines might differ from show to show—which makes it worthwhile to attend them all! After a long day on the flight line, enjoy an evening’s entertainment. Starting on Monday with REO Speedwagon performing for the annual opening concert, there will be the evening entertainment for which the EAA AirVenture has become known. Each night will find something happening at the Theater in the Woods, an open air pavilion-style theater with seating for 3500 and ample room to accommodate additional seating for those who bring blankets and lawn chairs. Whether planned or impromptu, there will always be something entertaining or informative happening here, including Gary Sinise and the Lt. Dan Band on Friday July 29, and Aaron Tippin on Saturday July 30. Also, every night the weather permits, a giant, five-story outdoor movie screen will feature an aviation film introduced by a celebrity guest. To wrap up the evenings at AirVenture will be the Night Air Show and Daher-Socata Fireworks on Saturday, July 30, starting at approximately 8:45 p.m. You’ll want to stake your spot early, as this show draws tens of thousands to the flight line. 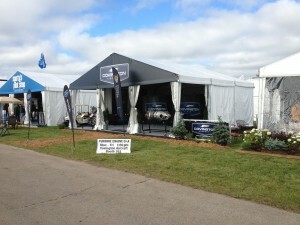 And don’t miss stopping by the Covington Aircraft booth – number 261! With all the top aviation talent, so many new and interesting things to see and do, and the chance to share a love of flying with so many who share those feelings, this Oshkosh event is one that the whole family should experience. brings together half a million aviation enthusiasts who come and go by car, bus or in one of 10,000 planes.